The Urgo Medical Restore Foam Dressing without Border has TRIACT Advanced technology to absorb wound exudate and balance moisture for ideal healing conditions for both acute and chronic wounds. Foam Dressings effectively protect the peri wound, conform well and are absorbent. TRIACT Advanced technology takes it further integrating lipido-colloid gel with the polymer to be gentle to the wound as it absorbs exudate. This ensures the peri wound doesn't stick to the foam so dressing changes aren't painful. As exudate is absorbed, moisture vapor escapes through its semi-permeable backing. In addition, the exudate and bacteria absorbed into its vertical wicking foam is important in protecting the skin from maceration. 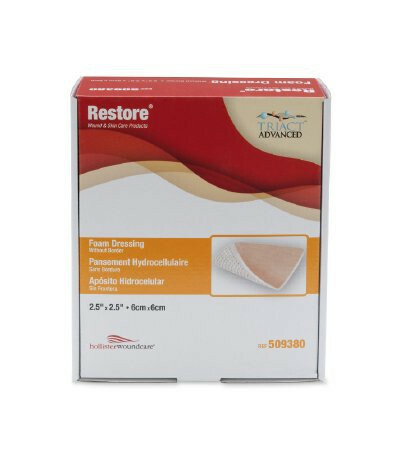 Choose from a variety of sizes of Borderless Restore Foam Wound Dressing with TRIACT Advanced Technology. 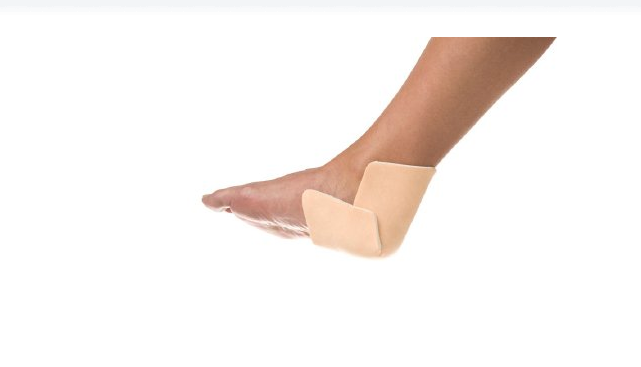 Urgo Medical, formerly part of Hollister wound care, offers Restore Foam Dressings in square sizes including 2.5 x 2.5, 4 x 4 and 6 x 6 inch and a dressing size 4.7 x 7.5 inch that's shaped for the heel. Urgo Medical also manufacturer's a lower profile foam dressing. 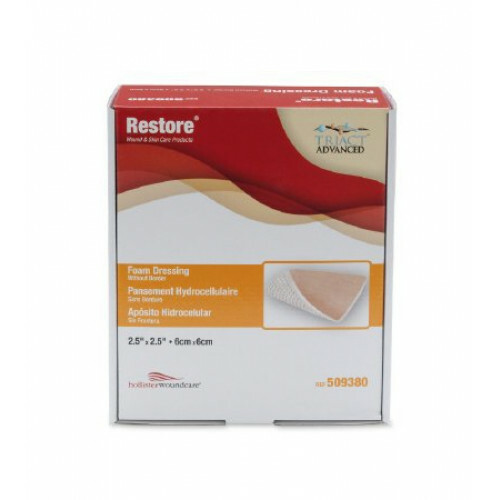 Check out Restore Lite Foam Dressings designed thinner but with the same TRIACT Advanced technology.